After more than twenty years of conflict the landscape of northern Uganda has been profoundly transformed by the heavy presence of international and domestic non-governmental organizations. Youth are regularly targeted by development, peace-building, and many other NGO-led programs. Yet, given the notoriety of the conflict and the typical organizational structure of NGOs, programs concerned with youth and education rarely allow intellectual or social space for youth to become active participants in the very programs that support them. It is much more common for youth to be objects of development – written about, provided for, and represented as passive children worthy of funding – than for them to identify their own barometers for change in their communities and then act towards producing that change.  It is for these reasons that Rationale will begin launching collaborative research projects in order to build a space for Ugandan youth to participate in broader conversations affecting their livelihoods. Youth do not merely participate in these projects; they conceptualize, modify, and produce them. In addition to serving a professionalizing and experiential learning goal these projects also open up a unique space they can use to articulate their own hopes, desires, and struggles. Those who participate in Rationale’s collaborative research projects gain important professional skills (research and writing skills, networking, etc…) as well as a publication and professional experience to include in their CVs as they pursue post-educational employment. Projects will range from report-driven research to opportunities for creative visual or performance-based work as warranted by the scope and content of the project. In all cases, the goal is to deliver the results not just to those already involved in NGO and policy circles, but back to the communities from which the content is generated through a commitment to translation and distribution. Rationale will launch its first collaborative research project(s) this summer. Stay tuned for more information!